Developed through the unique partnership of S.A. Bendheim Ltd. and the Glashütte Lamberts of Germany, Restoration Glass® is a product with respect for the environment. 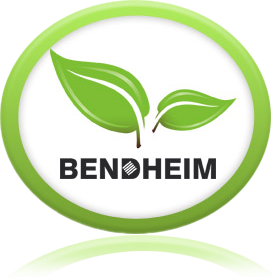 Bendheim is a third-generation family owned company with a strong commitment to environmentally-friendly manufacturing practices as a necessity for building and securing our sustainable future. These practices provide our employees with a safe, comfortable work environment, and are an added value to our clients and the community. Our efforts include substantial investment in advanced green manufacturing machinery throughout our processing facilities, as well as building partnerships with glass manufacturers demonstrating commitment to the environment through recycling and clean production practices. Packing methods at Bendheim are also carefully monitored to ensure maximum utilization of recycled materials. Glashütte Lamberts has been practicing strict environmental policies since the 1970's, years before Germany established industry-wide regulations for environmental protection. It is one of the first glass factories to reduce air pollution with the installation of sophisticated air filtration equipment. Lamberts' flue-gas filters capture and eliminate heavy metal emissions produced during the glass melting process. 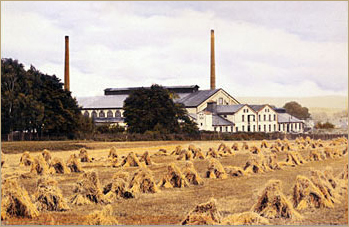 Most recent efforts improved the firing technology of the furnaces to further increase efficiency and conserve energy. Future developments include increased conservation of fresh water through water recirculation and treatment within the plant, as well as a rooftop array of photovoltaic cells to supplement the factory's electrical requirements. The Bendheim and Glashütte Lamberts partnership results in much more than product innovation. It is a partnership dedicated to environmentally sensitive, eco-alert products. Bendheim is an established member of the U.S. Green Building Council (USGBC), joining the ranks of responsible building and design professionals and product manufacturers with a demonstrated commitment to sustainable building.